Hello and thanks for this opportunity to share my story with you. My journey started after moving out of home to a new suburb and finding it challenging to find new people. My options were either bespoke dating apps or meetup groups. These didn't help and I found myself wasting time swiping and registering for events with only a handful of people. After a napkin drawing the idea for TAP Social was borne. Fast forward two years and TAP Social is real and out there for the world to use! I am motivated to improve the quality of life via a multi-purpose social app that saves time and encourages people to get out more meeting other people. I am always looking at ways to improve the user experience and welcome all feedback. Regarding innovative areas, I am working on two improvements to the app. Two innovative ideas I am currently exploring are 'TAP Dates'and the other is business recommendations. Watch this space to find out more. The most rewarding aspect was seeing my hand-drawn wireframes / designs come into fruition in real life when the first prototype was developed. I felt at this moment a huge sense of achievement (and relief) because it has been a long journey with many iterations especially when it involved introducing novel features (virtual TAP button) where there was nothing to leverage on from elsewhere. The most innovative feature of TAP Social is the virtual TAP button. When users hold and release the virtual TAP button, matches are instantly shown. I call this instant matching and is one of the unique features of TAP Social because you are only matching with people who physically TAP during the same time (even for a second). Also, during a TAP, a waterfall of symbols pours down the screen which is pretty cool and provides some good entertainment. I may have underestimated the marketing. A good product doesn't sell itself, so even though I believe in great success for TAP Social, it is a daily investment to get the app out there for users to download and use. TAP Social has been inspired by my perception of the limitations of dating apps and websites currently on the market. For example, I found that profile-by-profile swiping ('Tinder') and location¬-based matching ('Happn') quite cumbersome and so I developed a more user-friendly feature in the form of instant matching using a virtual TAP button. Making networks ('Coffee Meets Bagel') was a good idea but I do not believe professional networks should be based on images and swiping so I developed a networking criterion for matching users based on the industry you are working in. There are a number of websites for bootcamp or exercising ('Meetup') but these groups require lots of planning so I developed an exercise criterion for matching people who want to exercise right now so that you can find that perfect gym buddy. Developing an app is not easy and requires persistence. I had several ideas before deciding on TAP Social and it definitely pays to plan, plan and plan! My advice for those budding innovators is to do plenty of research and be prepared to see the process through rather than as a passing hobby. I decided from the beginning that TAP Social had to be multi-platform using a high-powered server. This is because I believe TAP Social is filling a gap in the online social scene and should therefore have no limitations. Therefore, users anywhere in the world can download and match across iOS and Android platforms. TAP Social is completely different from all apps out there in three ways. Firstly, TAP Social users are matched only with active users available right now. Other apps have inactive users and requires time to find real people. Secondly, TAP Social is ideal for busy people because you only need to press a button to find matches. No more swiping one profile at a time. 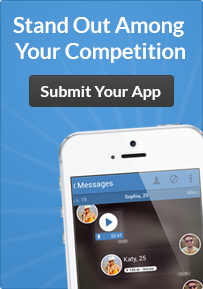 Finally, TAP Social is a multi-purpose social app where users select the activity and preferences to match. Finding a date or a gym buddy has never been easier! TAP Social embodies these novel features into a single app that is fun, user-friendly and simple to use.